Papuans Behind Bars, launched in April 2013, is an online resource about political prisoners in West Papua. 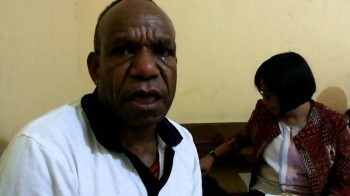 This site aims to raise awareness about Papuan political prisoners so that nobody is forgotten. Many of the prisoners have suffered arbitrary arrest, violence, abuse, torture, unfair trials, intimidation and neglect. The site seeks to provide accurate and transparent data, published in English and Indonesian, to promote debate, campaigning and policy change in support of increasing democratic space in West Papua. It includes comprehensive lists of current prisoners and former prisoners as well as monthly Updates on arrests, releases and trials. Detailed profiles of individual prisoners can be obtained by clicking on their entry in the prisoner lists or on their photo wherever it appears on the site. To learn more about about the data published by Papuans Behind Bars check About the Data.